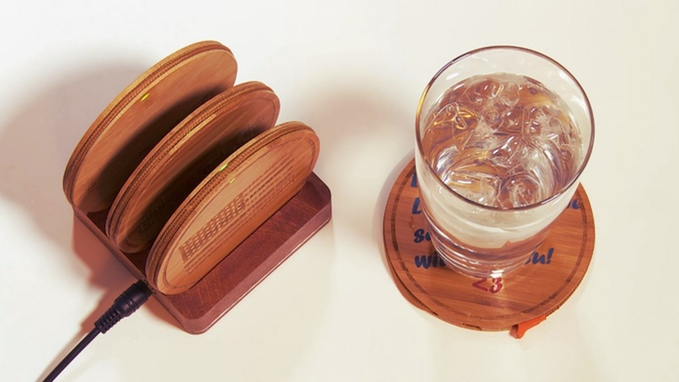 Battery Circle Coaster kickstarter Circle is a charging coaster that can be used anywhere! Circle is a charging coaster that can be used anywhere! This is nothing new, you go to a pub, restaurant or a patios and in the middle of being out with friends you notice your running low on juice. Sure you could carry a portable battery, but it doesn't look great but it will get the job done. This is where the charging coasters come into play and most places usually distributes coasters to sit your drink on.We don't usually pay much attention to the coaster themselves and this is where Circle comes into play, giving a purpose to the coaster and providing a need to the patron. 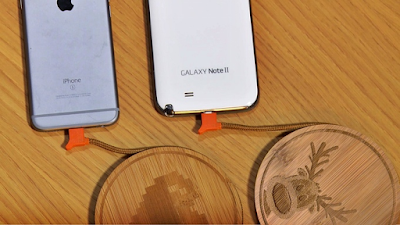 The coaster come packed with 3,000 mAh of power, which is more than enough to top of most smartphones today. Since we are in a diverse world, it is offered in MicroUSB form and Lightning. Beautifully crafted bamboo and made by hand, this gadget which now has a purpose for every restaurants and bars might just be the next best thing on the market to flood the service industry. Now, the use of these coasters don't need to be limited to the service industry, hell, you can even make use of these at home. It would look good anywhere and if you think about it, at 3,000 mAh a piece, that 9K worth of power. I understand that we all have a bunch of plugs and wires at home, but, what if you could eliminate the mess? Lana made sure to point out that there will be variation of the coasters to fit every need, thus allowing for customization, different design aspect. It sure is looking like a great start. It's a WIN/WIN if you ask me. 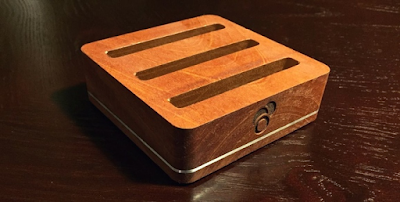 This is a Kickstarter project and you can get your hands on an early bird! The shipping is planned for March of 2016.